Please allow me to introduce myself. My name is Yasmin, I am the new owner of this Blake Lively Source . Please bear with me while I work on this site. There are a few things I would like to change around here and there. I’ve already added all the missing 2018 events, candids and movies stills. Thank you for coming and I hope you visit often for your Blake needs! 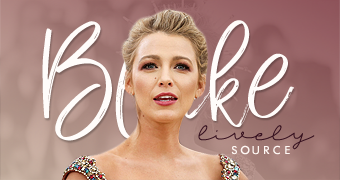 I am happy to announce that the blake-lively.net Icon Archive is now open! We have just over 110 icons with more coming soon!! Click the image below to check it out! Autographed Pippa Lee Poster Contest! blake-lively.net has been given the chance to host a contest where you can win an autographed The Private Lives of Pippa Lee poster! The poster is signed by Blake Lively herself along with Robin Wright Penn, Alan Arkin, and screenwriter Rebecca Miller! All you need to do is e-mail me the following information with “Pippa Poster” in the subject line by next Wednesday and I will select a winner! The competition is unfortunately for US only. Sorry for the inconvenience! What is your favorite Blake Lively performance and why? The DVD and Blu Ray release for the film is scheduled for March 2nd 2010. The film follows its title character Pippa Lee, played by Blake Lively and Robin Wright Penn. After nearly two decades caught under the wing of an aging husband (Alan Arkin), devoted mother and housewife Pippa Lee (Robin Wright) undergoes a midlife breakthrough. Unearthing the sexually curious wild child of her teens (as portrayed by Blake Lively), Pippa sparks a relationship with a kindred soul (Keanu Reeves). Lively and Wright deliver a stunning and revelatory performances in Pippa Lee; a wry, moving, and complex portrait of the many lives behind a single name. The film was released in theaters November 27th, 2009. Just a quick non-related Jessica message today to say that Mikaela and I have launched our new fansite dedicated to the adorable and talented Rachel McAdams! You may know her from her movies like Mean Girls, The Notebook, Sherlock Holmes or Red Eye among others. Our site features all the latest news and images of her. If you’re a fan stop by and let us know what you think! Hope you guys are having a Merry Christmas! After several months of no updates, we’re back! My name is Mycah and I am going to be taking over Blake Lively Source. I’m a big fan of Blake and honored to be working here. Unfortunately Mikaela has been really busy and hasn’t had much time for the site. But she’s assured me that she’s not leaving entirely just going to be updating as much as possible given her schedule, so we’ll be here for you Blake Lively needs! As you can see I have already but up a new layout and updated many pages, and tomorrow I will be back with tons of updates to get us back on track before the third season return of Gossip Girl! You can expect lots to come soon including missing events, scans, shoots, screencaps and content updates. Stay tuned! Come and check out my new site, Malin Akerman Web. You may have seen Malin as Ben Stiller’s crazy wife in The Heartbreak Kid. Now she is starring in the big blockbuster Watchmen, which premieres on March 6, 2009. Don’t forget to watch it! Take a look! As some of you might have seen I put up a new layout at the gallery yesterday, what do you think about it? I think it looks pretty good, simple and classy. Blue, white and grey. The header images are from the Cleo shoot, Blake looks so amazing in that shoot, take a look here. I have also added screencaptures from the two latest Gossip Girl episodes, 2.12 and 2.13. Totally 820 pictures have been added to the gallery. Here are some previews, enjoy!